We have the technology, knowledge and experience that allows us to model spatial phenomena based on robust scientific methods, solving specific problems with financial and/or operational returns. CWith state-of-the-art spatial and statistical modelling techniques over GIS technology, we develop studies and simulations of phenomena based on territorial variables assumptions, such as past and present land use, mobility and accessibility, social and economic variables, environmental variables, risks and disasters, and strategical and political option. We create and implement Municipal Emergency and Civil Protection Plans according to CNPC resolution no. 30/2015 using the most recent technologies, making the plan available in a GIS environment on the internet for faster and global access. Planning provides a relationship of agreement that must be shared between individuals and organizations, both in the coordination of their inherent demands and in the articulation of their response actions during emergency operations. Deciding on the most suitable handling strategies. As aerial surveys became more and more popular, whether by LiDAR (Light Detection and Ranging) technology or by large-format and high resolution Aerial Images, data collection to prepare risk maps became faster, since these technologies enable altimetric precision and a result high measurement volume (DTM and DSM). If needed, simulation programs can perform analyses of the whole vulnerable surface without being limited to a set of sections. 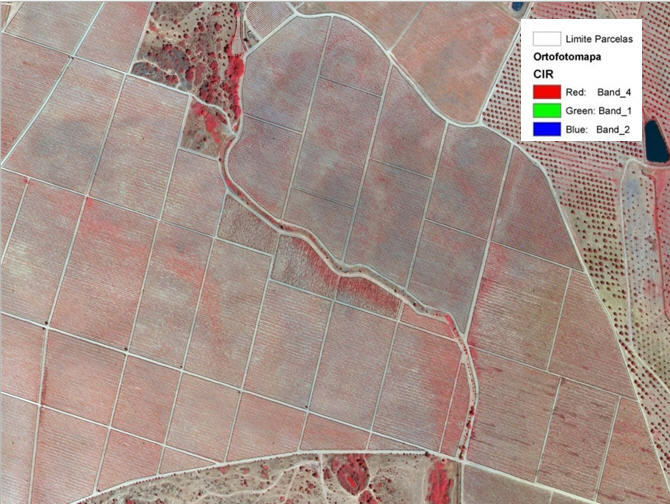 We perform aerial photography flights using a large-format, high-precision aerial camera with 4 channels (RGB+IR), geo-referencing and orthorectifying images, and ensuring the accurate delivery of vegetation indexes and physiographic maps showing hypsometry, slopes, slope orientation and solar radiation. 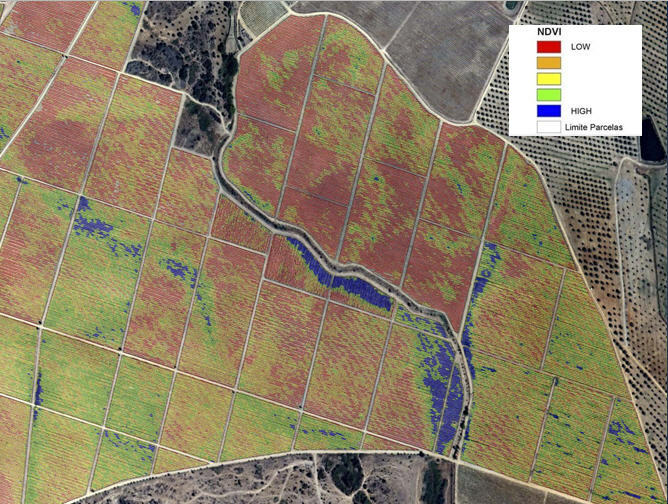 Applying remote sensing techniques to aerial photographs of crops allows us to map to you the condition of plantations at high resolutions and to give farmers the unique possibility of taking actions regarding harvesting and management of vineyards, olives, fruit and other annual crops. Variable application of fertilizers and phytosanitary products. The most effective way to evaluate the variability in a parcel is through the mapping of its apparent electrical conductivity (CEA). 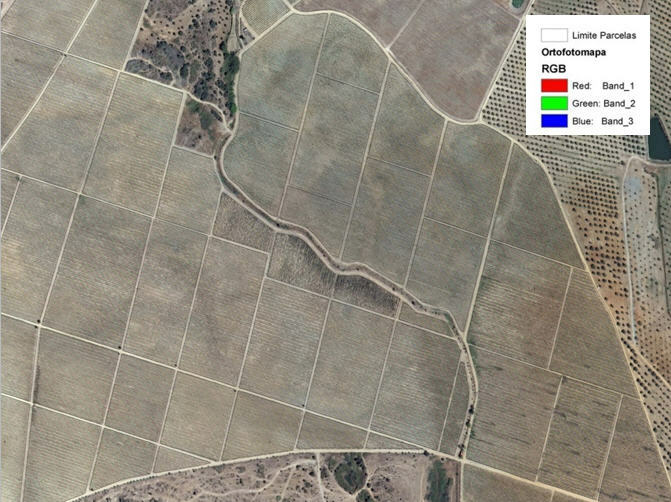 The land survey is performed through a specific sensor without direct contact with the soil, preserving its characteristics, and in a georeferenced way, obtaining measurements up to 1 m deep. 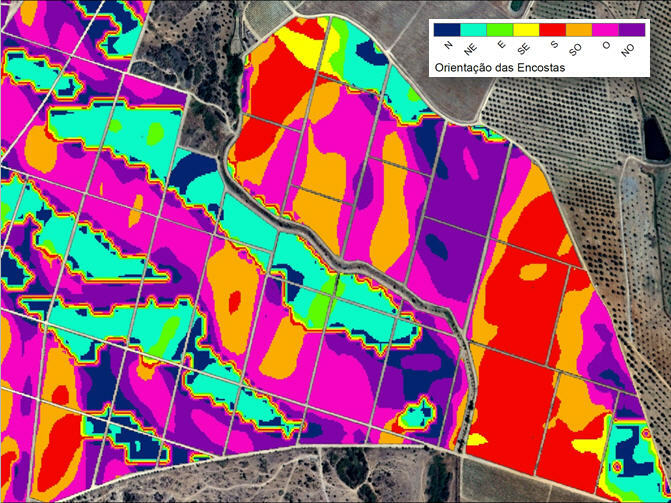 AThis assessment gives you a number of plot information, from the variation in the soil texture to the identification of problematic zones, which allow the farmer to define specific management strategies in a precise and differentiated manner. 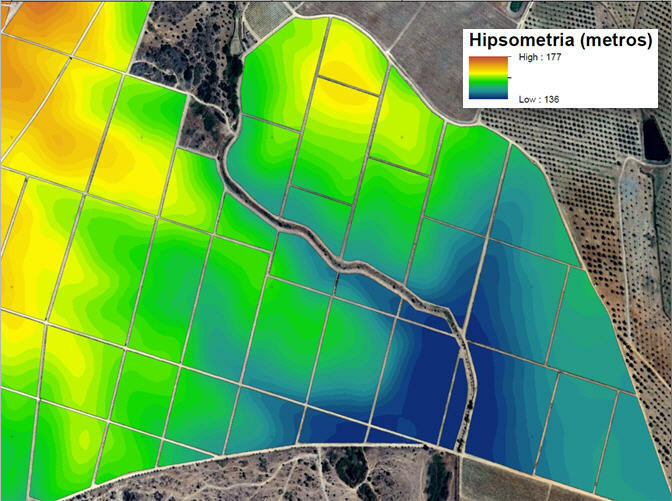 Relevant information for differentiated irrigation calculations (VRI pivot / irrigation sectors). 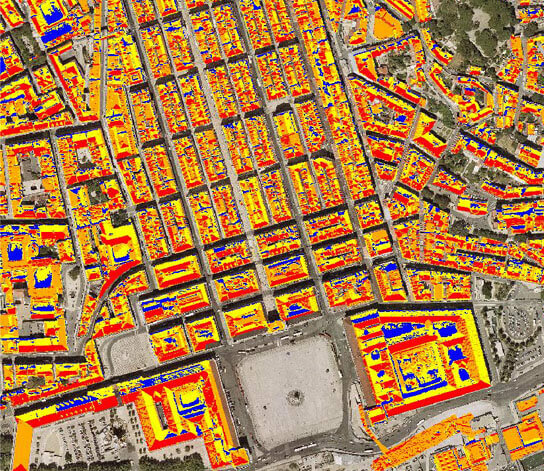 We have built a public interest tool to support consumers upon deciding whether to install solar panels on their rooftops and to make the population aware of the buildings’ potential as sources of revenue or energy savings. 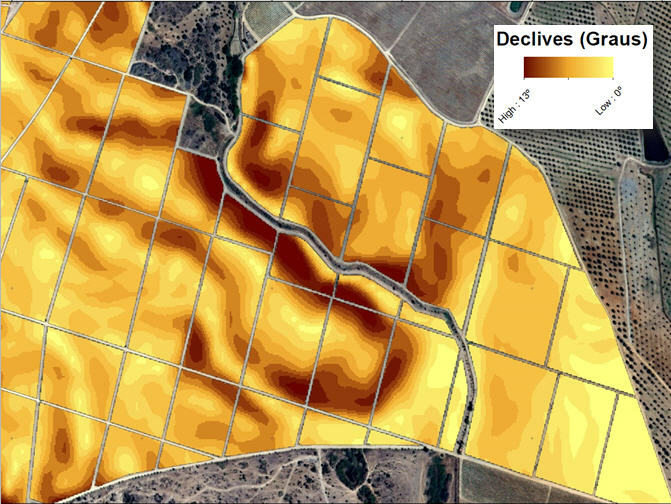 This study’s production depends on obtaining a Digital Surface Model (DSM) of great cartographic accuracy following a spatial analysis, in an environment that incorporates Geographical Information. 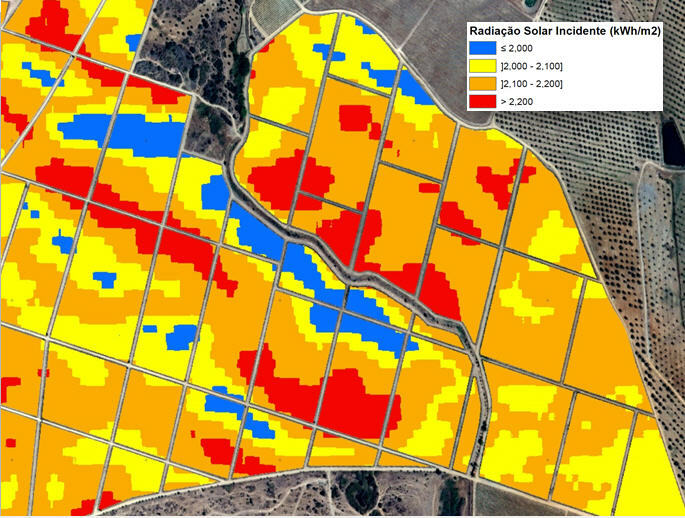 Using state-of-the-art spatial and statistical modelling techniques over GIS technology, we develop land use scenarios based on territorial variables assumptions, such as past and present land use, mobility and accessibility, social and economic variables, environmental variables and strategical and political options. Inferring the territory’s places with higher conflict rates and higher potential.